According to Marca, Real Madrid have been offered the opportunity to land Luka Jovic, who is currently on loan at Eintracht Frankfurt from Benfica. The 21-year-old striker has been a revelation in Bundesliga this season having already managed 21 goals and 7 assists in 31 appearances for the German club. Real Madrid's torrid form this season has largely been attributed to their forwards' inability to churn out goals. 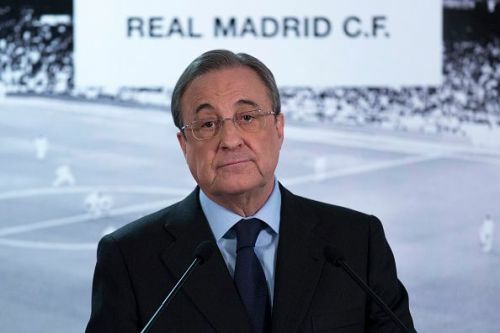 Following Ronaldo's departure, Los Blancos' attacking unit remains one of the biggest concerns of the club's hierarchy. Therefore, they have been scouring the transfer market for a young quality striker as Karim Benzema is also set to turn 32 at the end of the year. Reports from the German press claimed that Barcelona had submitted an offer for him earlier this week. Apart from Barcelona and Real Madrid, Manchester City and Arsenal are also keeping close tabs on Jovic. Marca also states that Real Madrid are presently monitoring the situation in Paris as they remain interested in Neymar. The Spanish giants have already acquired Rodrygo, who will arrive in July, but since he is not a proper center-forward, Real are still vying for Jovic's signature. Marca is a reputable Spanish outlet and one of the most reliable when it comes to news related to Madrid-based clubs. As it stands, Real Madrid are looking to undergo a major overhaul in the upcoming transfer window and Luka Jovic possesses all the tools to benefit them in the long run. Being one of the most sought-after forwards in the transfer market, Real Madrid will evidently have to face stiff competition to secure the services of Luka Jovic.